IN a tuktuk, taking pics OF tuktuks! Asia’s gonna be so much fun! 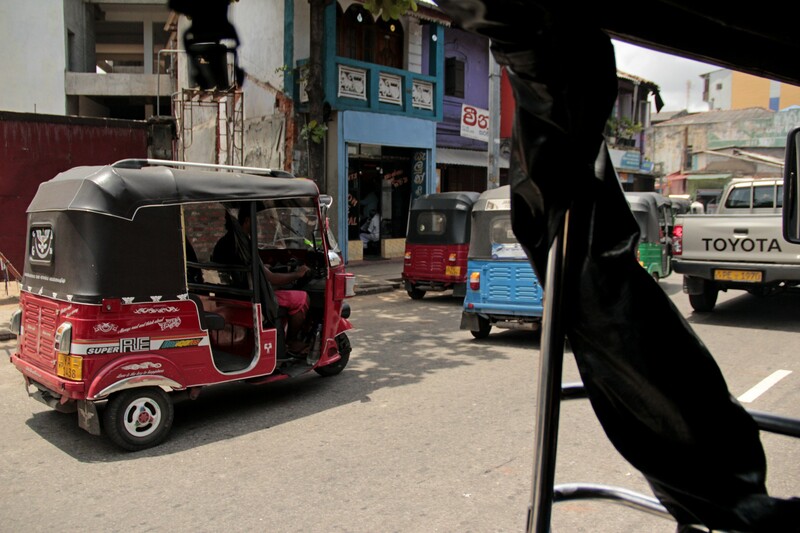 When you first get to Southeast Asia, you can’t stop taking pictures of tuktuks. They’re just so…interesting! A week later, maybe two, and you barely notice the three-wheeled vermin. This is often the case when traveling: some local item grabs your attention at first, before blending completely into the background. But, as is so often the case: it’s different in Cuba. This is one of the first pictures I took, on the bus ride in from the airport. These are all from my first day (click to enlarge). I have too many car photos to say if these are even in my top 50. That island is visually overwhelming. Nearly three weeks went by, with art, music, and dance, not to mention culture, experience, and friendship. I was saturated. I felt overstuffed with experiences and images; I’d need a spare lifetime to process the photos alone. A neighbor gave me a ride to the bus station in his clunky Moskvitch, a Soviet block of metal homage to the right angle. And finally, I’d ridden in a couple of the classic “Yank Tank” American cars, first a Pontiac, then a Chevrolet from the 1950s. Both now chug along all day as shared taxis, which will take you anywhere along their route for 20 Cuban pesos, about $0.80, and were two of only four times I got to use the national Cuban currency, instead of the “Convertible Peso” used by the tourism industry. And yet, after all those days, all that sweat, all those miles and exhaust pipes, these are some of the many from my last day. It’s just different in Cuba. 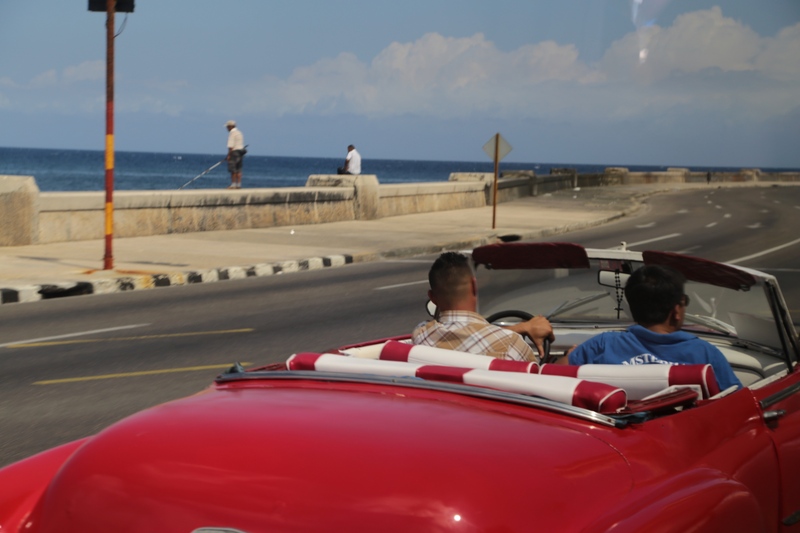 I remember the cars in Cuba, so very cool. When did you go to Cuba? Aaa-mazing. I must see this place with my own eyes. I agree! Maybe stop over on your way back from Ecuador? Find a beach with lots of mojitos in the vicinity. That shared taxi sounds totally legit. I hope you made up a fanciful stage name worthy of the act? hahaha I wish. I was too busy sweating to be that creative.